That's right peeps. 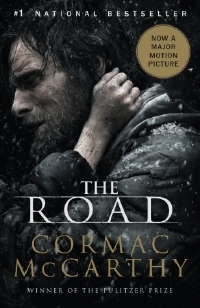 Almost a year later than expected, but coming nonetheless, is one of the most anticipated PA films of the last decade, The Road. According to the ghouls at BD, the film will be released in theaters on October 16, 2009. Well the Weinstein Company is releasing this movie and look how badly they released Outlander. I dont know much about Weinstein Company, so i can only give my point of view, but I know a lot of people complained on how they gave Outlander a limited release. Still don't know how they're going to translate this fantastically upsetting novel to the big screen, but I can't wait to see it. I read it and loved it, I really agree with Ben the book is fantastically upsetting. I just wonder if thay can bring it to the big screen, if history is a judge I'm not hopeful.